Dinosaurs are such an enigma. Perhaps it’s because their bones are like a ten billion piece jigsaw puzzle. With no helpful assembly instructions for guidance, each type of dinosaur is estimated to have roughly 200 bones. That leaves a disturbing amount of room for error. After all, who’s to say we’ve been accurately assembling those prehistoric bones? When dinosaur fossils are discovered, they tend to be badly damaged, crushed, or warped from the weight of dirt and rocks. So they may be pieced together incorrectly. Or the “final” result may actually be incomplete. In fact, scientists themselves have been known to harbor doubt when attempting to piece those suckers back together. It’s almost like paleontologists are trying a little too hard to divert the confusion. Which brings us to the Bone Wars, between American paleontologists Edward Drinker Cope and Othniel Charles Marsh. So fierce was their rivalry in the heated pursuit of discovering and naming new dinosaurs that there was no shortage of bullying, bribery, and flat-out careless errors. When Cope presented his fossil of a marine reptile called Elasmosaurus, it was discovered that the vertebrae were assembled backward. The head and tail were also transposed. So much for any attempt at accurate representation. Marsh, for his part, was trying to piece together an Apatosaurus. But it was missing a skull. So he knowingly used the head of another dinosaur to complete the skeleton. When someone is determined or frustrated enough, it’s gotta be so tempting to cram a puzzle piece someplace it doesn’t quite belong. Especially after spending far too much time puzzling over it. Take the mighty Tyrannosaurus Rex, for instance. Take a really good look at it. T Rex’s disproportionately minuscule arms look like a better fit for a smaller dinosaur, like Triceratops. No wonder those creatures look so angry. With stubby little arms and a tail that drags ten feet behind on the ground like a ball and chain, what’s there to be happy about? There’s also been debate over the years as to whether the Brontosaurus ever actually existed, either. All I know is, if I were to dig in my backyard and unearth dinosaur bones, I’d let my kids try their luck at assembling a new creature. And then I’d let them name it. You almost have to wonder what human bones haphazardly pieced together by the next creatures on earth in fifty million years might look like. Now, that ought to be interesting. We’ll call it the Peabrainasaurus! 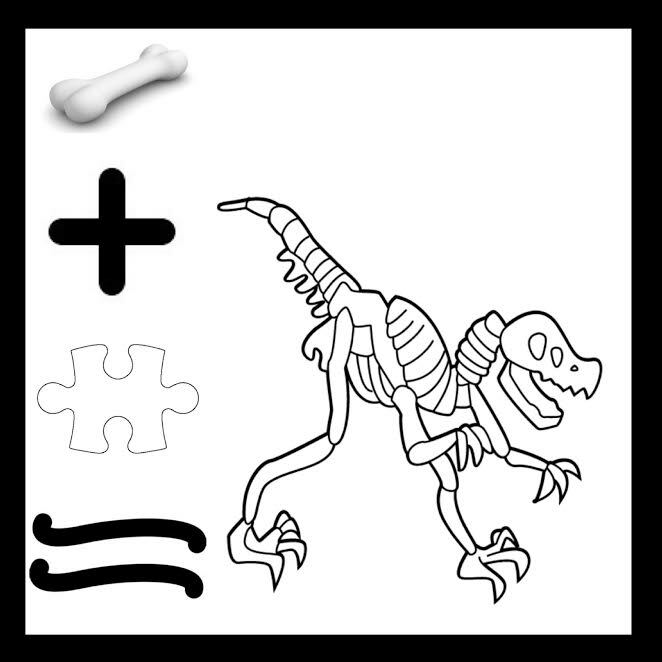 The dinosaur depicted here is most likely the approximate result of assembling bones together, puzzle-style. Cant wait to see Boogerraptor properly assembled. If you want to know about dino controversies look up Jack Horner. This guy stubbornly refuses to believe that T Rex was a hunter even though there has been enough evidence to support it. Yeah he’s a proudful stubborn man. I’d vote for Dinkybrainadon. LOL Love the post. Of course, you really can’t blame the archaeologists…. Thanks!!! Comment my photo!!! Kisses!!! You have to love the irony of labeling a bone “funny bone” when it is anything but funny. Especially when it takes a bump or a whack. Definitely unfunny. I have always had a very healthy dose of scepticism re this – your post made me laugh and nod at the same time. Love it 🙂 Have a great weekend!